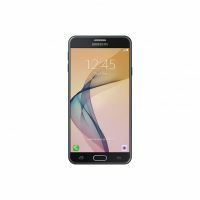 Galaxy J7 has PLS TFT LCD full HD touchscreen that provides you with the best display. The screen also comes with a resolution of 1080 x 1920 (FHD) witha color depth of 16 million. The J7 has F1.9 lens that helps to take bright images even in low light settings. It has 13MP rear camera & 5 MP front camera. Wide selfie function of this device lets you fit more people in group shots and capture beautiful scenery as it was meant to be seen. You can even use your palm to take photos with ease. To Recieve updates and possible rewards for Samsung Galaxy J7 Prime (Gold) please sign in. To Recieve updates and possible rewards for Mobile & Smartphone please sign in.